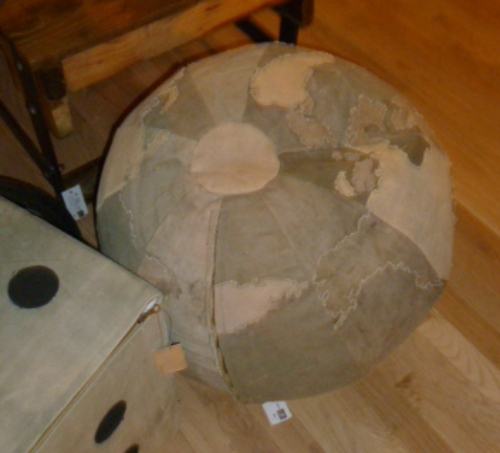 Faded denim pouf from Go Home Ltd. 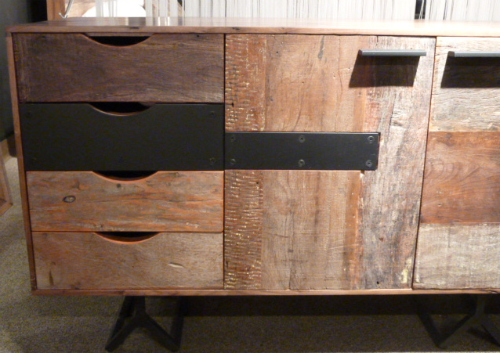 But also using reclaimed wood still while still retaining the original colors of it's previous use and then pieced together into table tops and cabinets. 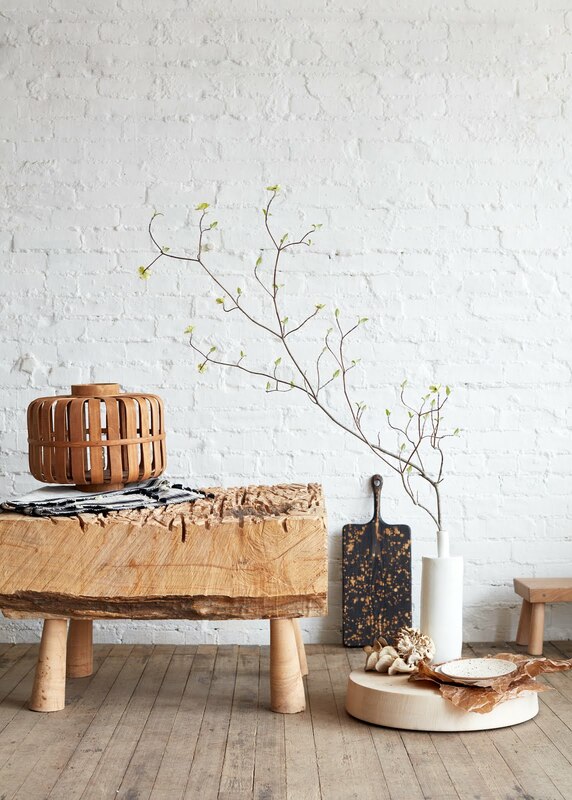 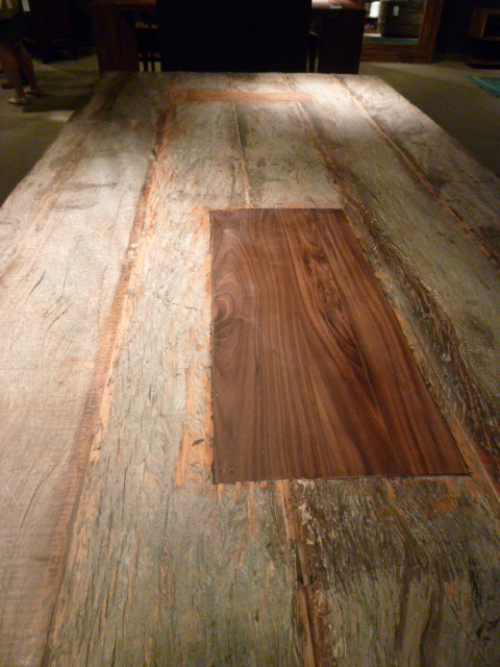 The table below from Four Hands Home beautifully combined teak tops with steel legs. 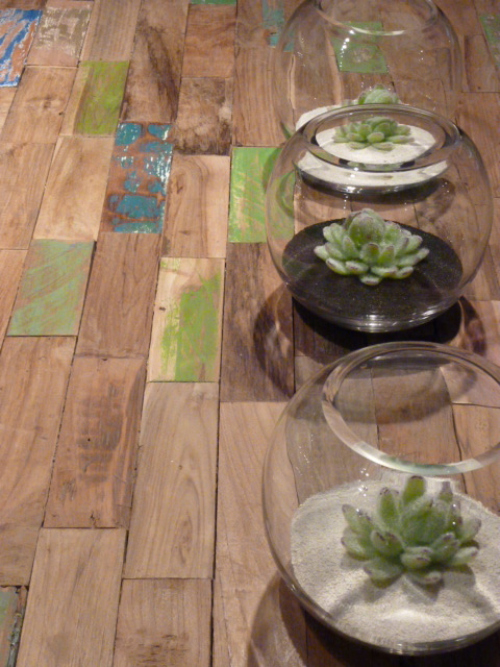 Here the effect is shown using reclaimed rough sawn boards and steel in this piece from the Bina collection. 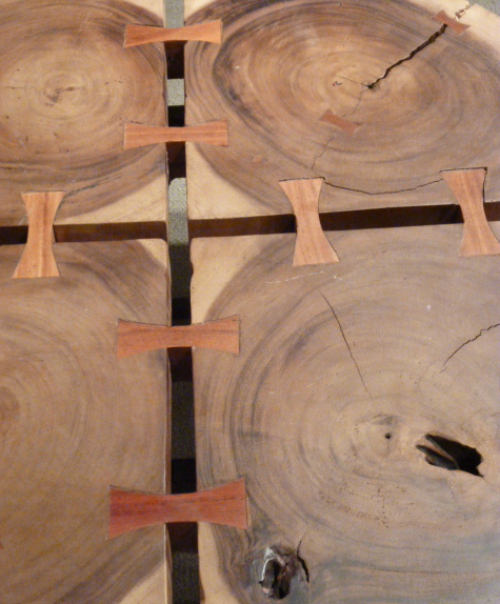 Or in this dovetailed table top from the Philips Collection. 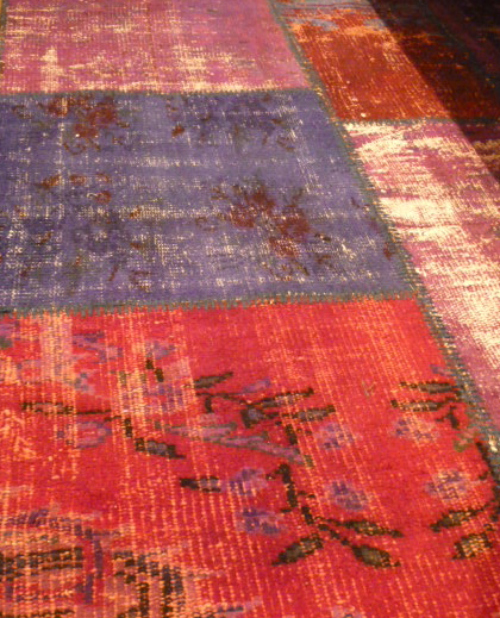 The over dyed rug trend continues, here combining with the patch-working of various different rug patterns cut and sewn together to form one large rug in various shades of red, orange and purple. 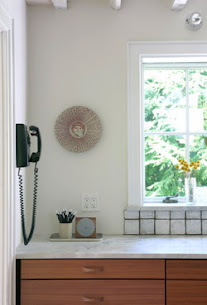 Once again Four Hands Home did an exceptional job with this trend. 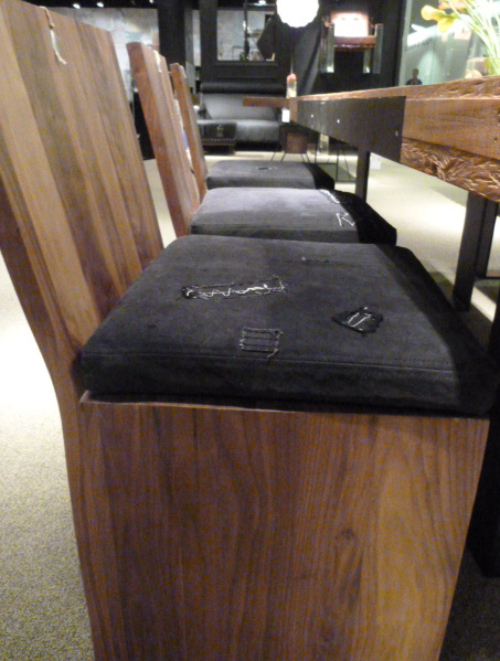 Love this all black melange. 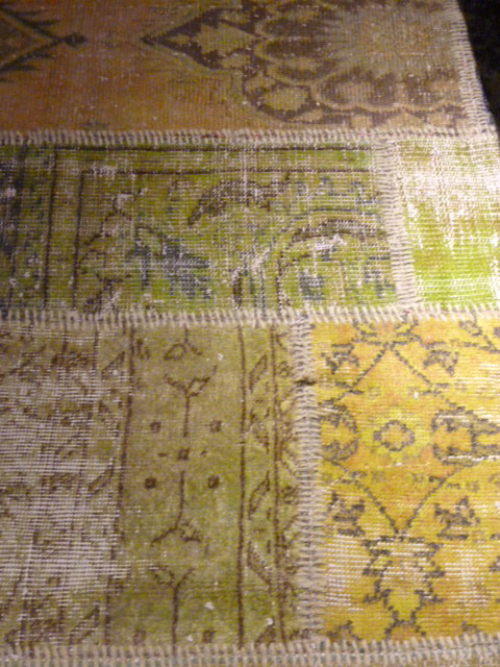 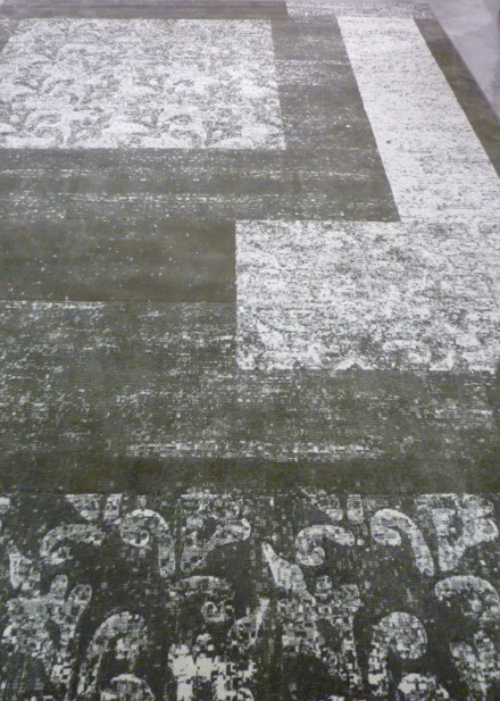 This faded gray version is from Dynamic Rugs. 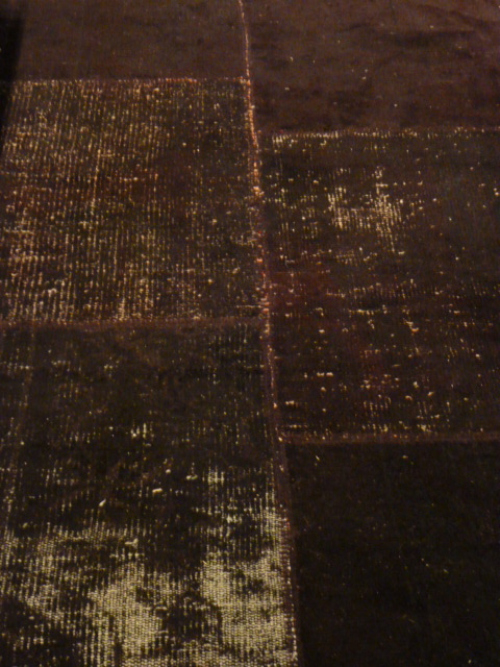 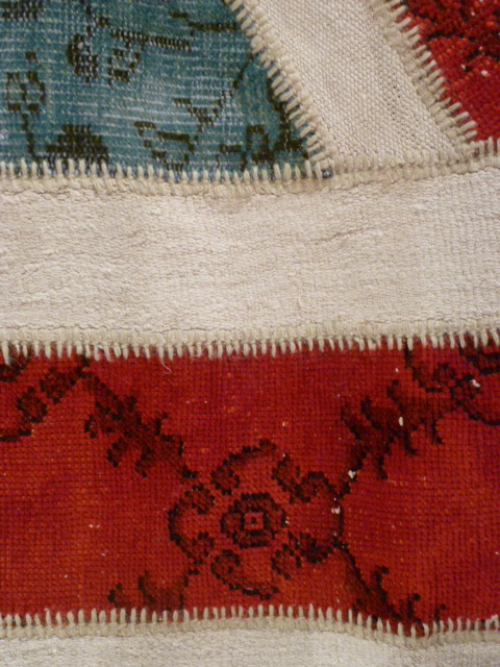 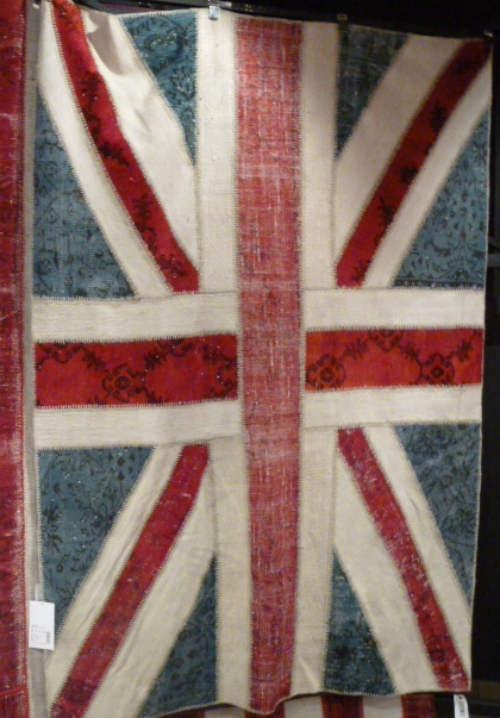 3 trends mixed together in this Union Jack, over dyed and patch-worked rug.